We do not use yet, but are thought to be no problem as it is made by maker. I just wish I had a good look at the photos, but I bought another without knowing it. I think it would be nice if it was clearly stated in the brief statement. This review is about item#6491625. Are you OK looking for parts of this hand here? Although I was worried, I could use it without problems at all. Mori Seiki's old universal lathe was replaced by burnout of the motor. Recently the body has been made from cast metal to roll sheet metal because of cost reduction, but this product has rigidity made by casting as usual, and with less vibration of the motor it was safe for customers to use. This review is about item#6491643. It became one size larger than 3.7 kw. Since there is power, it is possible to turn on pulley a little larger than the pulley so that the rotation speed becomes faster and the amount of water to send out has overwhelmingly increased. This review is about item#6491652. It was saved by speedy response from ordering goods to delivery. Used for crude selection of cereals such as rice and beans. 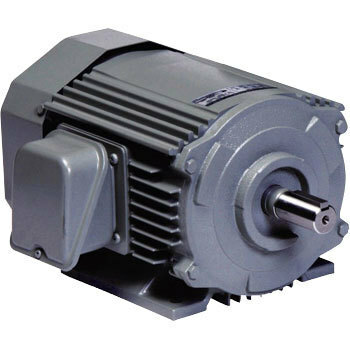 It is considered as major as Hitachi when speaking of motor from old days. Because it is a premium or top runner, it can be used with even more peace of mind. This review is about item#6491634. Motor sound is quiet and satisfactory. Suddenly because the motor of the air compressor broke, I received it immediately. I bought it for the replacement of old motor which had been discontinued. I was relieved to fit in the same place exactly. This review is about item#6491616. I exchanged the machine 's motor, the sound became very quiet. Although the box was not damaged, the cover of the cooling fan behind the motor was in a state not dented and not turning, since it rushed for repair, I shaped it by myself and used it, but it is heavy, so handle with care I hope ~. Horsepower is also the best. I am saved. Although it was damaged later, I wish I bought a mount. I bought it for 7 years ago in the second hand, so I thought that if this price was this price, I thought that I should have bought a new one, the size was perfect as it was customized. This review is about item#06491625. I ordered a material shop that I always asked for, so it would take a delivery date so what I wanted was just found and stock was ant so I ordered it and it was saved! It is! This review is about item#06491616. This review is about item#06491652.